Our system designers have a few tips for you to consider when designing your home theater. Having a crystal clear vision of your project will help you get the results you want. What do you enjoy most when relaxing in front of the big screen? Will you watch movies or play video games? 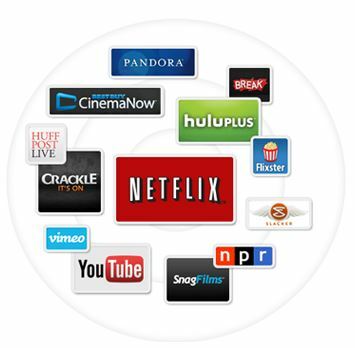 You can stream all of your favorite media applications wirelessly to your theater system. It is crucial to have a high internet speed for seamless streaming. When considering a home theater, make sure your broadband is setup to handle your needs. A projector and screen is the solution to achieve the high-end look and feel of a theater. How much light enters your space? It is important to consider the lumens (a measurement of light output) when purchasing a projector, as the brighter the room is, the more lumens you will need. Also, do not skimp on the screen that the projector will be projecting on. You can have a top notch projector but will not achieve the video quality without a high quality screen to match. The most common setup for a surround sound system is the 5.1-channel surround sound; this entails 5 speakers and 1 subwoofer. The speakers can be connected wirelessly or speaker wires can be ran inside the walls. Placement of the speakers is key to capturing the surround sound experience. There can be many ways to incorporate furniture into a theater room. Some prefer to have a comfortable family sized couch in the room with a coffee table. Others like to emulate the movie theater experience with theater seating. With the help of an architect and a system designer, the sky is the limit to what you can do! 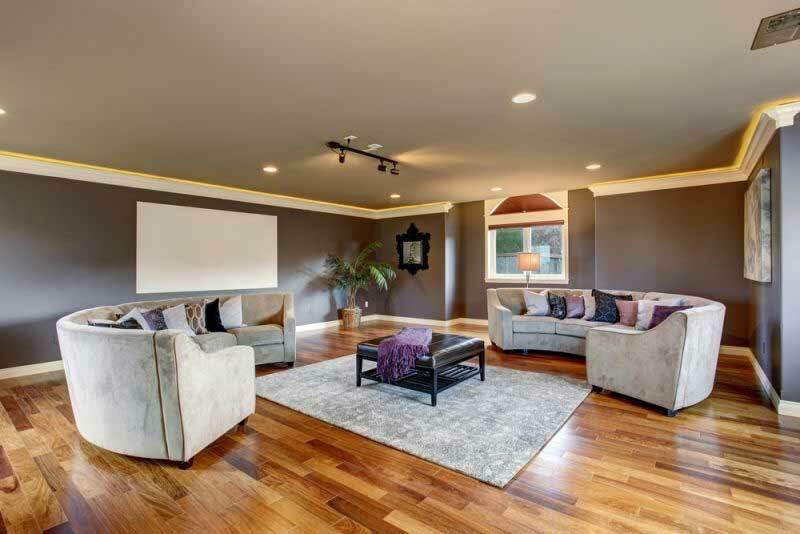 Always dreamed of having a movie theater in your home? Make it a reality.